Multiple sclerosis (MS) is the most common neurological disorder affecting young adults. More than 2.3 million people worldwide are diagnosed. Magnetic resonance imaging (MRI) is used to diagnose and determine disease activity. 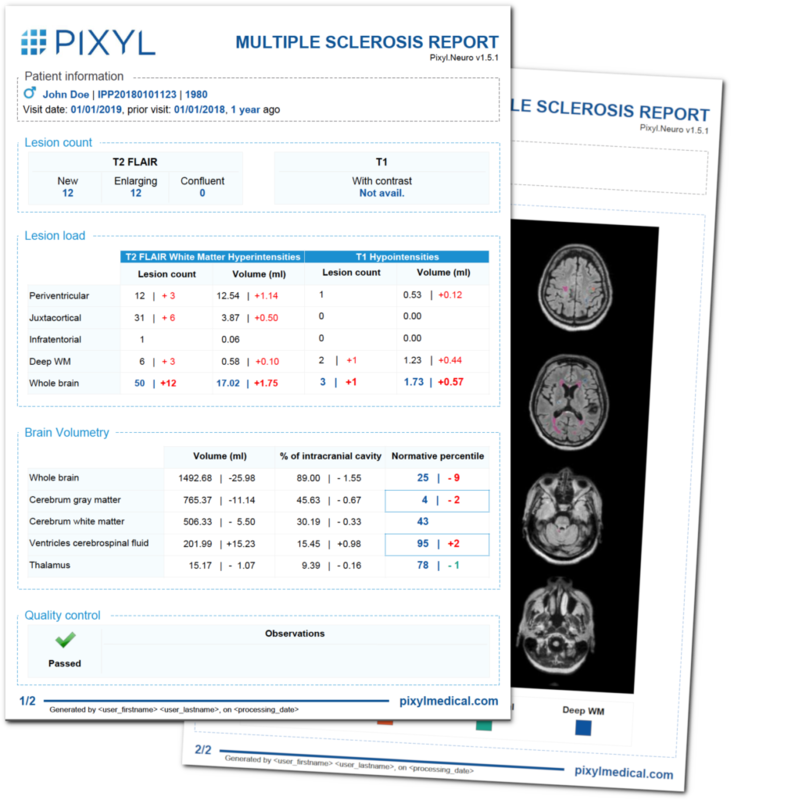 Pixyl.Neuro automatically analyses MRI images in just 4-5 minutes, providing access to quantified measures of lesion volume and brain atrophy. White matter hyperintensities are identified, quantified and classified according to their dissemination in time and space. Our structured report is based on MS diagnostic criteria. Active (new or enlarging) T2 Flair lesion volume count and volume. T2 Flair lesion volume and count, classified by region of interest. T1 Hypointense lesion volume and count, classified by region of interest. Brain atrophy compared to a normative population.